For other people named John Ross, see John Ross (disambiguation). Sir John Ross CB (24 June 1777 – 30 August 1856) was a British Royal Navy officer and Polar explorer. He was the uncle of Sir James Clark Ross, who explored the Arctic with him, and later led expeditions to Antarctica. John Ross was born in Balsarroch, West Galloway, Scotland, on 24 June 1777, the son of the Reverend Andrew Ross of Balsarroch, Minister of Inch in Wigtownshire, and Elizabeth Corsane, daughter of Robert Corsane, the Provost of Dumfries. His family home was on the shore of Loch Ryan, at Stranraer. In 1786, aged only nine, Ross joined the Royal Navy as a first-class volunteer and was assigned to HMS Pearl. It soon sailed to the Mediterranean Sea, where it remained until 1789. He then served aboard HMS Impregnable for several months before a transfer to the merchant marine for eight years. In September 1799 he was recalled to the Navy and appointed midshipman on HMS Weazel, which shortly joined in the Anglo-Russian invasion of Holland. Short periods of service on HMS Clyde and HMS Diligence followed, during which he acted as a lieutenant. From 1803, he served on various vessels; mainly with the Baltic station. This included a period on HMS Grampus and HMS Victory, the flagship of the commander of the Baltic fleet, Rear Admiral James Saumarez. During his service, Ross was wounded several times, the most severe of these being in 1806 when boarding a Spanish vessel; he received wounds inflicted by a sabre and bayonet, and also suffered broken legs and a broken arm. In late 1808, Ross was seconded to the Swedish Navy. In 1812, he was promoted to commander. 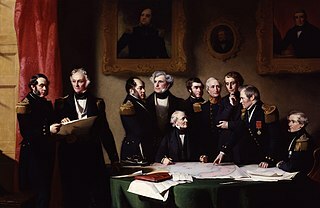 In 1818, Ross received the command of an Arctic expedition organised by the British Admiralty, the first of a new series of attempts to solve the question of a Northwest Passage. This entailed going around the extreme northeast coast of America and sailing to the Bering Strait. He was also to note the currents, tides, the state of ice and magnetism and to collect specimens he found on the way. The expedition left London in April, with Ross commanding HMS Isabella and accompanied by HMS Alexander under Lieutenant William Edward Parry. He sailed counter-clockwise around Baffin Bay repeating the observations made by William Baffin two hundred years before. In August, he entered Lancaster Sound at the north end of Baffin Island; this later proved to be the eastern gate of the Northwest Passage. He sailed a number of miles west but went no further, for he was misled by a mirage which appeared to show mountains at the end of the strait. He named the apparent mountains "Croker Mountains", in honour of John Wilson Croker, then first secretary of the Admiralty. He then returned to England despite the protests of several of his officers, including Parry and Edward Sabine who thought he should have more thoroughly examined the "mountains". The account of his voyage published a year later, brought to light their disagreement, and the ensuing controversy over the existence of Croker Mountains ruined his reputation. This expedition failed to discover much that was new. Its main effect was to open a route for whale ships to the northern Baffin Bay and provoke Parry to re-explore Lancaster Sound and find a major portion of the Northwest Passage. Ross attained the rank of captain on his return to Scotland and about this time built the house North West Castle, in Stranraer, south-west Scotland. In 1829, Parry, his lieutenant on the previous expedition, returned to the Arctic and sailed 600 miles (970 km) west beyond the "Croker Hills", thereby discovering the Parry Channel—the main axis of the Northwest Passage. Partly to redeem his reputation Ross proposed to use a shallow-draft steamship to break through the ice. The Admiralty was not interested, but he was able to convince the gin-magnate Felix Booth to finance a second expedition. His ship was Victory, a side-wheel steamer with paddles that could be lifted away from the ice and an experimental high-pressure boiler built by John Ericsson. (The engine caused trouble and during the first winter, it was dumped on the shore. It carried four officers: John Ross, James Clark Ross, William Thom, surgeon George McDiarmid and 19 men. The goal was Prince Regent Inlet at the west end of Baffin Island where Parry had lost his ship in 1825. Ross left the Thames on 23 May 1829. Baffin Bay was unusually ice-free and on 6 August, he passed the point where he had turned back 10 years before. On 11 August he turned south into Prince Regent Inlet, and on 13 August reached Fury Beach where Parry had abandoned his ship. The hulk was gone but there were heaps of stores on the beach, some of which he took. Continuing south he became the first European in the Gulf of Boothia, but by the end of September, he was blocked by ice 200 miles (320 km) south of Fury Beach. He took winter quarters at Felix Harbour at the eastern tip of the Boothia Peninsula. In January 1830 a group of Netsilik Inuit arrived and provided food and information. For one of them, the ship's carpenter made a wooden leg. In the spring of 1830, James Clark Ross made several trips west into the interior. On 9 April, he reached the west side of the Boothia Peninsula and in May crossed over ice to the northwest shore of King William Island, assuming it was part of the mainland. It was mid-September before the ice broke part of its grip. The crew sawed through the shore ice and warped the ship into open water, but it was soon caught in the ice. October was spent warping and sawing the ship into Sheriff Bay where they spent their second winter only 3 miles (4.8 km) from Felix Harbour. No Inuit arrived until the following April 1831. James Clark Ross crossed the Boothia Peninsula and on 1 June 1831, became the first European to reach the North Magnetic Pole. In August, the ship began to move but only got four miles before being trapped in Victoria Harbour. By January 1832 it was clear that the ship would never get out. Ross's plan was to drag the ship's boats north to Fury Beach, collect provisions there, find open water and hope to be rescued by a whaler. They left Victory on 29 May 1832. Ten days later James Clark Ross returned from Fury Beach and reported that Fury's boats were repairable, which spared them the labour of dragging the boats. They reached Fury Beach on 1 July, left in three boats on 1 August and reached Barrow Strait at the end of August. Finding an unbroken field of ice, they waited four weeks for the ice to melt, gave up, returned south, left their boats at Batty Bay and walked to Fury Beach. On 8 July 1833, they left for Batty Bay and on 14 August saw open water for the first time. They left the next day and reached the head of Prince Regent Inlet. On 26 August, they spotted a ship but it passed by. A few hours later they were seen by another ship, which turned out to be Isabella which he had commanded in 1819. Had it not been for his 1819 discovery there would have been no whalers in the area. By October they were back in England. The expedition had cost three lives. Ross was presented to the King and given a knighthood. The crew were given double pay for the entire four years by the Admiralty even though they were not in the British navy. This impressive experience, as well as the scientific and ethnological information gathered by Ross's team, brought him the renown that he had long sought. In comparison with other contemporary arctic explorers, this was a feat of heroic proportions and was probably due to the fact that Ross befriended and learned from the Inuit. "My steady and faithful friend, Mr William Thom, of the royal navy, who was formerly with me in the Isabella, beside his duty as third in command, took charge of the meteorological journal, the distribution and economy of provisions, and to his judicious plans and suggestions must be attributed the uncommon degree of health which our crew enjoyed; and as two out of the three who died in the four years and a half were cut off early in the voyage by diseases not peculiar to the climate, only one man can be said to have perished. Mr M'Diarmid, the surgeon, who had been several voyages to these regions, did justice to the high recommendation I received of him; he was useful in every amputation and operation which he performed, and wonderfully so in his treatment of the sick; and I have no hesitation in adding that he would be an ornament to his Majesty's service. Commander Ross, Mr Thom, and myself, have indeed been serving without pay; but, in common with the crew, have lost our all, which I regret the more, because it puts it totally out of My power adequately to remunerate my, fellow sufferers, whose case I cannot but recommend for their lordship’s considerations. We have, however, the consolation that the results of this expedition have been conclusive and to science highly important, and may be briefly comprehended in the following words. The discovery of the Gulf of Boothia, the continent and isthmus of Boothia Felix, and a vast number of islands, rivers, and lakes; the undeniable establishment that the north-east point of America extends to the 74th degree of north latitude; valuable observations of every kind, but particularly on the magnet; and to crown all, have the honor of placing the illustrious name of our most gracious Sovereign William IV on the true position of the magnetic pole." Once again, however, Ross encountered controversy with his cartography. In 1830, during the expedition, James Clark Ross had charted three islands in James Ross Strait and named them the Beaufort Islands. John Ross never saw the islands. Later, back in England, John Ross, using his authority as expedition leader, renamed the islands as the Clarence Islands, and even added a number of fictional islands to the group, in an apparent attempt to impress the new king, William IV. In 1833, Ross received gold medals from the English and French geographical societies, and various foreign orders, including Knight of the Royal Order of the Polar Star of Sweden, and in the following year received a knighthood and was appointed a Companion of the Order of the Bath in Britain. He was as British consul at Stockholmd in 1839 and remained at this post until 1846. In 1850, at the age of 72, Ross undertook a third voyage to the Arctic regions, this time in search of the expedition party of Sir John Franklin which had not been heard from for four years. With financial support from Lady Franklin, he sailed a private vessel, the schooner Felix, to Lancaster Sound. His vessel was not particularly robust and other ships in the area had to provide food to help Ross combat scurvy which had set in amongst his crew. 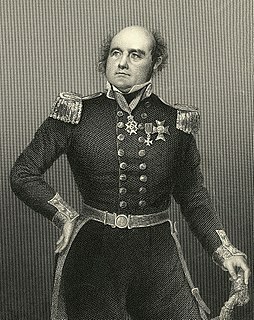 Failing to find Franklin or any of his men, Ross returned to England in October 1851 by way of Greenland, where he encountered rumours that Franklin and his party were all dead. Although most people disregarded these, Ross stood by them. This angered Lady Franklin, who feared that the Admiralty would halt any further rescue efforts and she withdrew her support for Ross. While he had been searching for Franklin, Ross was promoted to rear admiral. Retiring to Stranraer, Scotland, he never sailed again. His knowledge of the Swedish and Danish languages saw him consulting for the government about the Baltic regions as tensions with Russia increased and his later years were spent writing. He published several pamphlets, including one critical of the efforts to rescue Franklin. He also futilely hoped for a reconciliation with his wife and pestered the Admiralty on various matters, one being the quality of its maps. He died on 30 August 1856 while visiting London, where he is buried at Kensal Green Cemetery. A voyage of discovery, made under the orders of the Admiralty, in His Majesty's ships Isabella and Alexander, for the purpose of exploring Baffin's Bay, and inquiring into the probability of a north-west passage. London: J. Murray. 1819. OCLC 4559652. Narrative of a second voyage in search of a north-west passage, and of a residence in the Arctic regions during the years 1829, 1830, 1831, 1832, 1833. London: A.W. Webster. 1835. OCLC 1113450. ^ Fleming 1998, p. 36. ^ a b c O'Byrne 1849, pp. 1006–1007. ^ a b Edinger 2003, p. 5. ^ "John Ross: The discovery of the magnetic pole". Library and Archives Canada. Retrieved 21 April 2018. ^ McSherry, Captain Ross, submitted by Patrick. "Captain Ross, Arctic Expedition, 1833 letter". www.arcticwebsite.com. Retrieved 21 April 2018. ^ Mowat, Farley (1973). Ordeal by ice; the search for the Northwest Passage. Toronto: McClelland and Stewart Ltd. p. 203. ISBN 0771066260. OCLC 1391959. ^ Bossi 1984, p. 1571. ^ Ross 1994, p. 195. ^ "No. 19224". The London Gazette (Supplement). 26 December 1834. p. 2327. "No. 19224". The London Gazette (Supplement). 26 December 1834. p. 2328. ^ Ross 1994, p. 226. ^ Edinger 2003, pp. 247–248. ^ a b Edinger 2003, p. 249. ^ Sandler 2006, p. 246. ^ Fleming 1998, p. 442. ^ Fleming 1998, p. 443. Bossi, M., ed. (1984). Notizie di viaggi lontani: l'esplorazione extraeuropea nei periodici del primo Ottocento, 1815–1845 (in Italian). Naples: Guida. ISBN 8870423999. Coleman, E. C. (2006). The Royal Navy in Polar Exploration from Frobisher to Ross. Stroud: Tempus. ISBN 0752436600. Edinger, R. (2003). Fury Beach: The Four-Year Odyssey of Captain John Ross and the Victory. New York: Berkley. ISBN 0425188450. Fleming, Fergus (1998). Barrow's Boys. London, United Kingdom: Granta Books. ISBN 978-1-86207-173-5. O'Byrne, W. R. (1849). "Ross, John". A Naval Biographical Dictionary. London: John Murray. OCLC 59322582. Ross, M. (1994). Polar Pioneers: John Ross and James Clark Ross. Montreal: MQUP. ISBN 9780773565036. Sandler, M. W. (2006). Resolute: The Epic Search for the Northwest Passage and John Franklin. New York: Sterling Publishing. ISBN 9781402740855. This article incorporates text from a publication now in the public domain: Chisholm, Hugh, ed. (1911). "Ross, Sir John" . Encyclopædia Britannica. 23 (11th ed.). Cambridge University Press. p. 740. Wikimedia Commons has media related to John Ross. "Ross, John (explorer)" . Appletons' Cyclopædia of American Biography. 1900. "Ross, Sir John". Dictionary of Canadian Biography (online ed.). University of Toronto Press. 1979–2016. Boothia Peninsula is a large peninsula in Nunavut's northern Canadian Arctic, south of Somerset Island. The northern part, Murchison Promontory, is the northernmost point of mainland Canada. The Gulf of Boothia is a body of water in Nunavut, Canada. Administratively it is divided between the Kitikmeot Region on the west and the Qikiqtaaluk Region on the east. It merges north into Prince Regent Inlet, the two forming a single bay with different names for its parts. It is surrounded by, clockwise, Baffin Island, Fury and Hecla Strait, the Melville Peninsula, the Canadian mainland, the Boothia Peninsula and perhaps Bellot Strait if the Gulf can be said to extend that far north. The south end is Committee Bay, northwest of which are the Simpson Peninsula and Pelly Bay. In addition to its connection to Prince Regent Inlet one can use an icebreaker to go east through the Fury and Hecla Strait, or, with luck, pass the Bellot Strait westward. Fury and Hecla Strait is a narrow Arctic seawater channel located in the Qikiqtaaluk Region of Nunavut, Canada. Situated between Baffin Island to the north and the Melville Peninsula to the south, it connects Foxe Basin on the east with the Gulf of Boothia on the west. Water flow in the strait is sometimes westerly and sometimes easterly - there are diurnal and semidiurnal components to the flows; tidal and subtidal effects also play a role. The strait provides Arctic Ocean drainage for Hudson Bay via Foxe Basin. The Parry Channel is a natural waterway through the central Canadian Arctic Archipelago. Its eastern two-thirds lies in the territory of Nunavut, while its western third lies in the Northwest Territories. It runs east to west, connecting Baffin Bay in the east with the Beaufort Sea in the west. Its eastern end is the only practical entrance to the northwest passage. Its western end would be a natural exit from the archipelago were it not filled with ice. The channel separates the Queen Elizabeth Islands to the north from the rest of Nunavut.